The Colibri makes use of that strangely wonderful relationship orange juice has with Angostura bitters. Something about that touch of bitters just brings out all the best flavor in orange juice and the other ingredients. 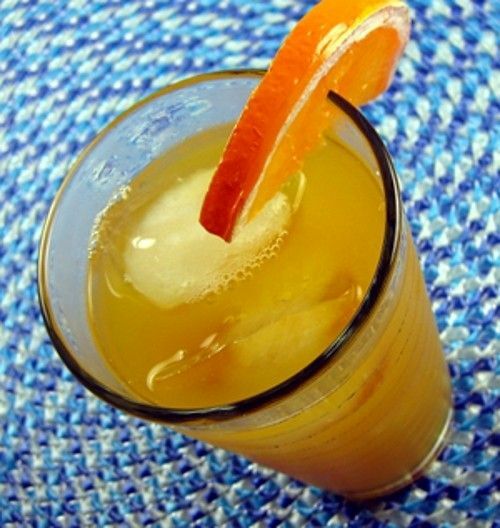 In this case, the other ingredients are simply white and dark rum, which contrast wonderfully with the bitters and the tartness of the orange. This is a nice, refreshing little cocktail – great for summertime, or anytime you’re wishing it was summertime. Fill a shaker with crushed ice. Pour in all ingredients and shake until chilled. Fill a highball glass with ice, and strain the mixture into the glass. Garnish with an orange wedge.